Can any and all kinds of plastic be recycled? That question has at least two meanings and two answers. Recycling, taken as a whole, has three parts: collecting recyclable waste, using it to make new products, which consumers then buy. In this sense, yes, any and all kinds of plastic are suitable raw materials for new products. Some are easier to use than others. Some allow a wider range of new products than others, but every kind of plastic has multiple manufacturers using it to make new products. That same question often means, can any and all kinds of plastic be put out at the curb for recycling or taken to some kind of drop-off recycling center? Unfortunately, no. Disposable plastic has, or ought to have, a recycling triangle with a number from 1 to 7 in it. 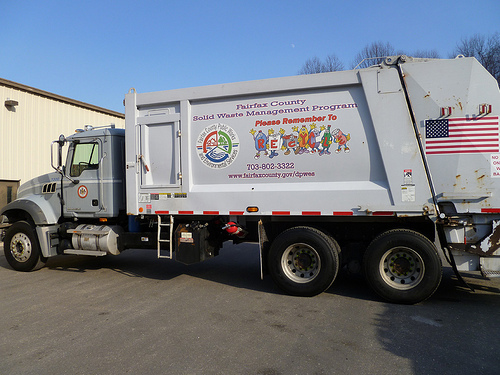 Some municipal recycling programs accept more different kinds of plastic than others. Over the years, the definition of what's acceptable has steadily expanded, but we still can't take just anything made of plastic out to the curb. 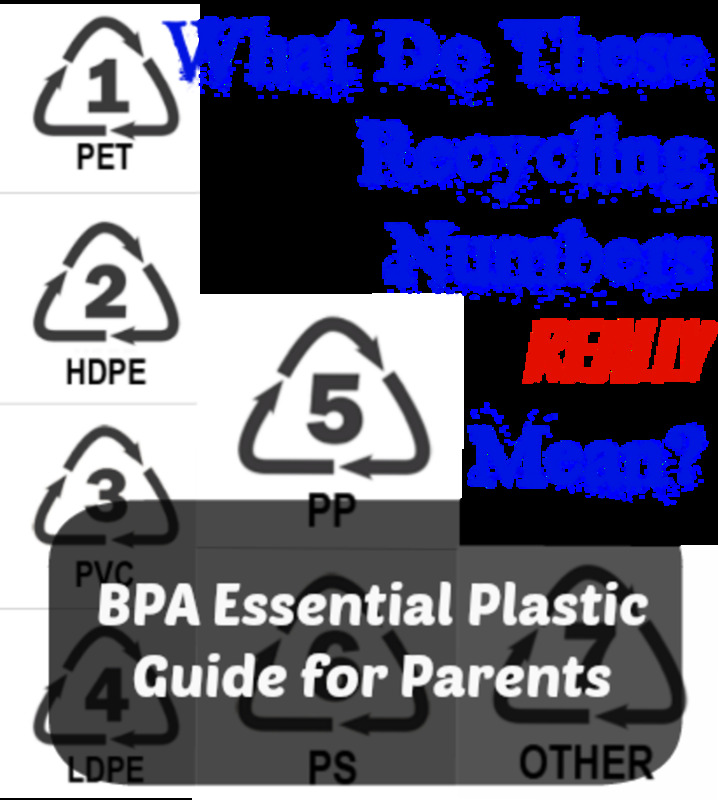 Here are what those numbers mean and the likelihood that consumers can recycle certain kinds of plastic. When I refer to products made from recycled plastic of kinds not accepted for curbside recycling, manufacturers obtain it from post-industrial waste. From the curbside. . . If you go into a convenience store looking for something to drink, all of the plastic bottles of water, soda, or juice are made of PET. Probably every municipal recycling program accepts these bottles. Other foods packaged in PET include peanut butter, salad dressings, or vegetable oil. Hand sanitizer, hand soap, shampoo, and mouthwash likewise come in PET. If prepared food comes in a plastic tray you can put in the oven, that's probably PET, too. Unfortunately, only a small fraction of discarded PET makes it into the recycling stream. The percentage is even less for other plastics. 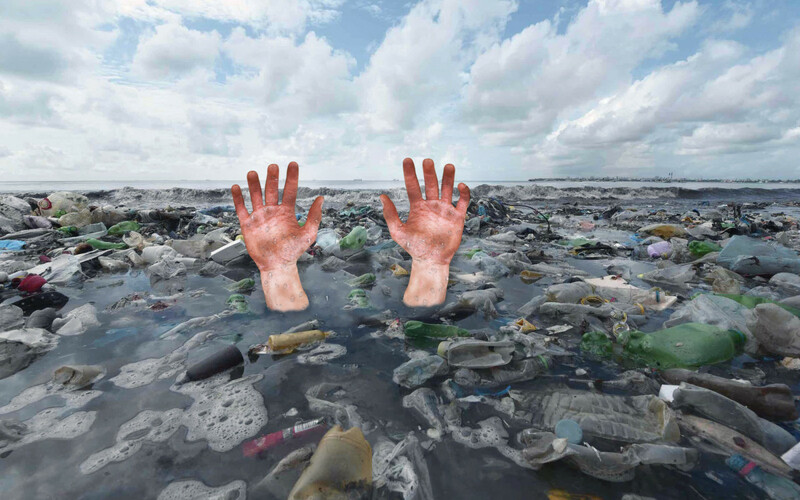 What could be a valuable resource remains an environmental menace. HDPE is also used for bottles. Milk and gallons of water come in it. So do such non-foods as bleach, detergent, other household cleaners, shampoo, and motor oil. It's a safe bet that municipal recycling programs accept HDPE bottles. On the other hand, HDPE comes in other shapes, including not only some margarine and yogurt containers, but also some shopping bags, trash bags, and liners of cereal boxes. These other shapes are less likely to be accepted by municipal recycling programs. 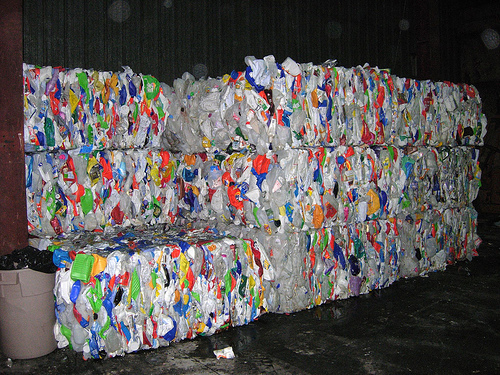 Waste HDPE is used for all kinds of recycled products, including new bottles (but not for use in packaging food), floor tiles, drainage pipes, and lumber. When I searched "vinyl," nearly the whole first page of search results were vinyl records. I had to add other words to find more. Actually, versatile vinyl family has many uses. Leather-like upholstery in your car, home, or office is vinyl. Upholstery fabrics don't necessarily try to imitate leather, either. Other uses for similarly soft vinyl include water beds and air mattresses. You might have vinyl siding on your house or a vinyl fence around your yard. Your plumbing system probably includes at least some PVC pipe. You probably walk on vinyl floor tiles somewhere, if not at home. Binders and other office supplies are also made of vinyl. I looked at a shampoo bottle that I thought sure was PET, but it had a 3 on it. I can't put it out for recycling. At the time, my city didn't accept anything but 1 and 2. It does now. When I first wrote this hub, municipal programs seldom if ever accepted any kind of vinyl. More of them do now. Many of the vinyl products I have mentioned are made of recycled vinyl, but mostly from post-industrial waste.
. . . through sorting and baling . . .
LDPE has many uses, but the most familiar is plastic bags. Paper or plastic? The plastic is nearly always LDPE. Even if you spurn that choice and hand your own cloth bags to the cashier, you can't avoid taking LDPE home with you. It's in the plastic bags you use for bulk foods. It's all up and down the bread aisle, among other places in the center of the grocery. It's also what covers whatever you pick up from the dry cleaner and lines your garbage cans. Other uses include trays, plastic containers and lids, six-pack rings, aseptic drink packages, toys, playground slides, and parts of computer hardware. California has banned LDPE bags at the checkout. Municipal recycling programs never accept them. They interfere with the sorting machinery. Nevertheless, recycling this plastic is easy. Grocery stores and some big box stores take it back. Products made from recycled LDPE include, of course, more plastic bags, but also furniture, paneling, and lumber. Lots of foods come in PP, including yogurt, margarine, syrup, and ketchup. So does medicine. The kind of plastic trays that you microwave are PP. If a tube of, say, hair gel comes in some other plastic, the cap is likely to be PP. Of all plastics suitable for making bottles, only PET is more commonly used than PP. Because PP has a high melting point and is impervious to most acids, it has many more uses than these. For example, automobile parts are often made of PP. Not long ago hardly any municipalities accepted PP. If yours still doesn't, you can take it to Whole Foods stores. You can mail it to companies like Preserve and Aveda. 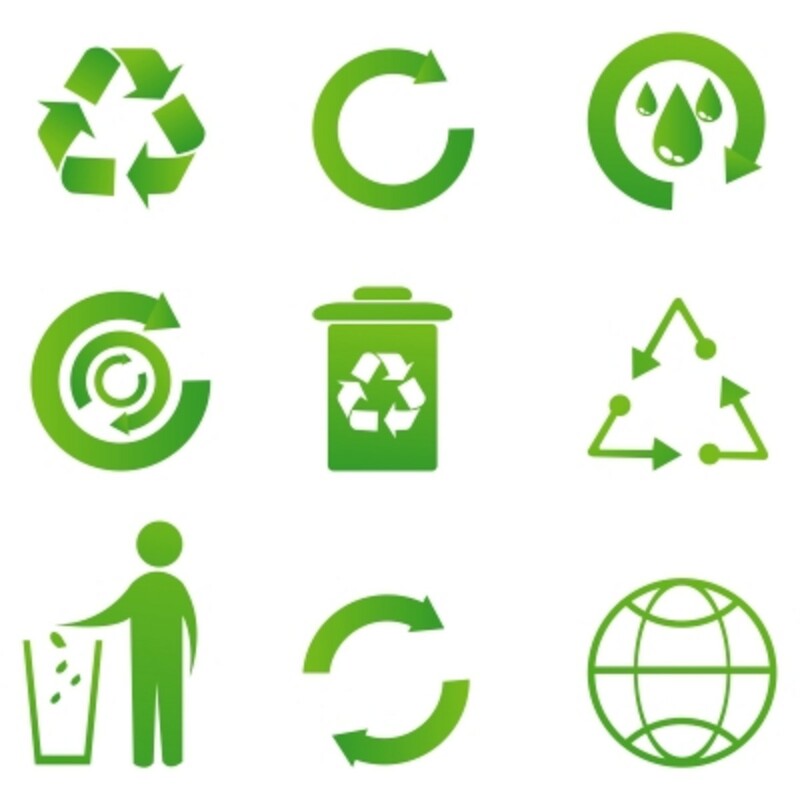 Recycled PP goes into automotive parts, plastic trays, shipping containers, and much more.
. . . to processing into raw materials for new products. Of all the major plastics, PS (best known by the trade name Styrofoam) is the most difficult to recycle. It is used for hot drink cups, foam plates, and egg cartons. Big blocks of PS enfold shipping cartons for computers, lamps, and all kinds of bulky and fragile products. Smaller products, fragile or not, often get shipped in PS packing peanuts. Not all PS is fluffy and airy. Other products made of PS include plastic cutlery, CD and DVD cases, and toys. Because it is difficult to recycle, it is the least likely of all plastics to be accepted in municipal recycling programs, although more and more do take it. Several companies accept waste PS by mail. If you happen to live in an area where several manufacturers use waste PS as a raw material, you may have other options. For example, V & G Styro Recycle collects styrofoam from consumers and businesses in Washington State to sell to various companies that can make new products. It does not accept all forms, though. It refuses food containers and foam sheeting. There many more than seven kinds of plastic. The six already described are the most common and make up the bulk of plastics the average consumer is likely to accumulate. There isn't enough of any one other kind of plastic to assign it its own number, so all the rest get lumped together as number 7. That's too bad, because one of them, polyactide, is compostable. Some of these plastics appear in bottles of juice, water, ketchup, etc., others in plastic plates and cups. As for plastic toys and other things less routinely discarded, they may not even have a number on them at all. Although these various plastics may be easier than PS to make into new products, recycling them can be a headache. How is anyone but an expert supposed to tell one miscellaneous plastic from another? 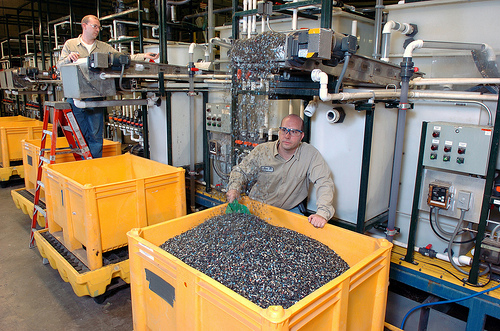 Recycling mixed plastic may come in the not too distant future. At least two companies have developed methods of creating new crude oil from waste plastic. Apparently it doesn't matter what kind of plastic. Neither has yet built a factory capable of large-scale production, but once that happens, they will be able to make oil that can sell for half the cost of crude oil extracted from the ground with less environmental hazard. By that time, every municipality will probably accept everything they can get. It might even become financially feasible to mine old landfills! Until then, plastic recycling will remain so difficult and inconvenient that too many of us won't even bother. Alas, only about 20% of all PET bottles get recycled. The recycling rate for all other plastics is even less. Plastic Storage Containers – Is Your Food Container Safe? Cheap and cheesy, too. Times have changed! Plastic is fascinating stuff, though most of us probably take its ubiquity for granted now. In the early days it was a real novelty. Opportunities to recycle plastic are all over the place. I'm not sure, but I think they're popping up in more places over time. I wish I could be so confident that people are actually learning how to do it. Only a tiny fraction of recyclable plastic actually get recycled. Most of it takes up unnecessary landfill space. Too much of it winds up as litter. But at least every container labeled" recycling," or better yet "plastic recycling,"gathers some plastic that would otherwise go to waste. Since about January 2013, I know of two municipal programs that started accepting any plastic that has a number on it. Any number. New York City has started accepting any plastic at all, number or not. I hope the news from these three jurisdictions mean that more and more recycling programs are accepting more and more different kinds of plastic. But it doesn't mean anything until everyone participates. Also, except in New York, there are plenty of kinds of plastic (all those shopping bags, for instance) that municipal programs don't accept. That doesn't mean they can't be recycled. It just means people have to take the initiative to save them up and take them back to the grocery store. Assuming that stores in your area do collect plastic, everyone: please participate. Use cloth shopping bags everywhere you shop to minimize the amount of trash you take home. Then return bread bags, produce bags, and anything else you can't avoid to the stores' collection bins. Keep as much in the recycling stream and out of the waste stream as possible. Landfills are a precious and dwindling resource. Glad I could help, MDS.